Apple reveals "4K HDR" films on iTunes – 4K Apple TV incoming? | What Hi-Fi? Apple reveals "4K HDR" films on iTunes – 4K Apple TV incoming? Eagle-eyed users have spotted 4K HDR labelling on iTunes movie downloads, the surest sign yet that we might see a new 4K Apple TV box. The Apple rumour mill rarely has a day off, but the latest news snippet is at least little more concrete than usual. It concerns 4K films on iTunes and comes from Apple itself, after users spotted some movie content on iTunes being listed as "4K, HDR". In a thread that started on MacRumours, user Tomas Jackson showed that the movie Passengers registers as 4K HDR in the 'Type' column of his purchase history. 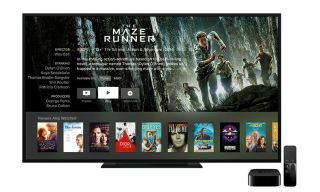 The movie could only be downloaded in HD - so hold your Ultra HD horses - but it suggests Apple might be gearing-up for a 4K launch and inadvertently revealed a little too much information in the process. The "4K, HDR" badge has been spotted by users in the UK and Canada, suggesting something is in the works. Films from Columbia and Warner Bros. were spotted showing as "4K, HDR", including Fantastic Beasts and Where to Find Them, which could imply that these two film houses are preparing for 4K iTunes support.